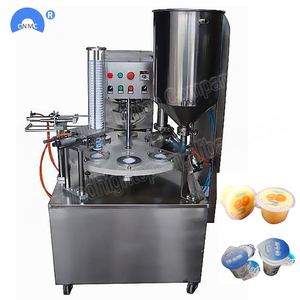 Introduction of Rotary cup filling sealing machine KIS-900 Rotary Cup Filling Sealing Machine For Yogurt Jelly Ice Cream Can be customized for filling sealing packing ice cream, yogurt, milk, soymilk, chilli sauce,juice, honey, ketchup, mineral water and so on. ,Ltd (CNMC), established in 1980, is an important and a large construction engineering equipment joint-stock enterprise Group of Shandong province, It has several wholly-owned subsidiaries, company headquarters is located at Jining Shandong province. We have CE Certificate,SGS Product Certificate, ISO9000 Quality Control Certificate and BV Supplier Certificate, Our machine had win much good reputation through its quality and nice performance. 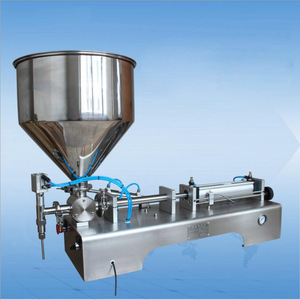 According to user needs in the range of arbitrary adjustment of filling volume and filling speed, filling error is small. Warranty service Best after-sales service for every customers within one year product warranty. Always honest with excellent quality We will make great efforts to provide our customers with first-class machines, first-class quality, first-class price and service. 4 YRS Shanghai Boom Packaging Machinery Co., Ltd.
3 YRS Zhangjiagang Erusun Machinery Co., Ltd.
3.The filling heads can be upgraded to 2, 3, 4, 5 for higher work-rate. (another sealing type) 4.Can be upgraded to 2, 3, 4, 5 for higher work-rate. 5. Hot sealing device, tight sealing, and absolutely reliable quality. 9 YRS Shanghai Shenhu Packaging Machinery Equipment Co., Ltd.
5 YRS Liaoning Sinopes Machinery Co., Ltd.
All the parts of machine are made of food grade 304 stainless steel. 4.When can I get my machines after I paid9 The delivery time is based on the exact machine you confirmed. 7.How about the spare parts9 After we deal with all the things, we will offer you a spare parts list for your refer. 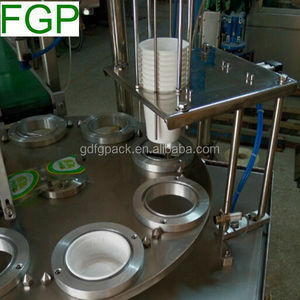 Alibaba.com offers 23,822 filling machine rotary products. 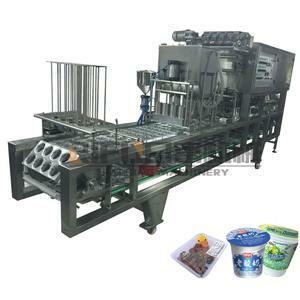 About 47% of these are filling machines, 1% are packaging line, and 1% are other food processing machinery. 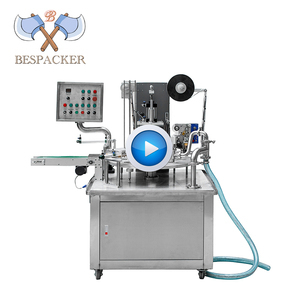 A wide variety of filling machine rotary options are available to you, such as beverage, chemical, and food. You can also choose from case, capsule, and bags. As well as from plastic, wood, and glass. 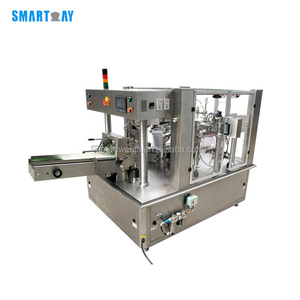 And whether filling machine rotary is electric, or pneumatic. 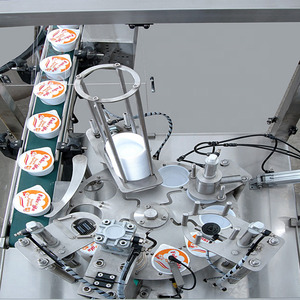 There are 23,822 filling machine rotary suppliers, mainly located in Asia. 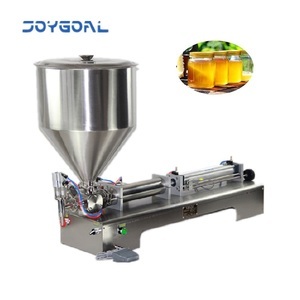 The top supplying country is China (Mainland), which supply 100% of filling machine rotary respectively. 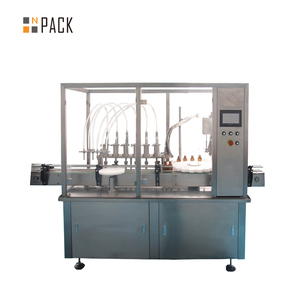 Filling machine rotary products are most popular in Domestic Market, North America, and Southeast Asia. You can ensure product safety by selecting from certified suppliers, including 6,317 with ISO9001, 3,683 with Other, and 744 with ISO14001 certification.